Renowned for its lively and largely brash nightlife, Magaluf is located in the popular southwest of Mallorca, in the municipality of Calvià, close to Palma Nova. This was the original home of the British package holiday in the 1960s and, today, British tourists consider this the party capital of the island. But Magaluf has much more to offer, such as beautiful beaches, a brand new shopping mall and a variety of attractions and activities. Welcome to our guide to the best that Magaluf has to offer. Magaluf is almost entirely purpose-built as a holiday resort and is notorious as a destination for hedonistic young Brits. The nightlife features numerous bars and nightclubs competing for the custom of the up-for-it holidaymakers who often lose their inhibitions amid the bright lights and seductive special offers on cocktails and other drinks. 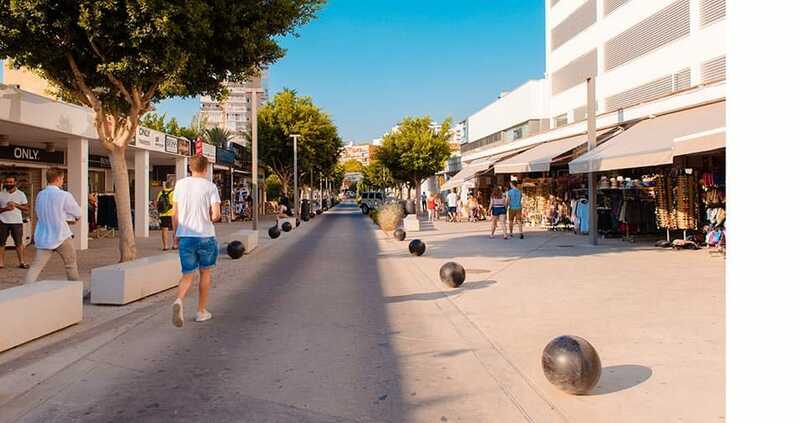 But while negative publicity stemming from its booze-soaked revelry continues to taint Magaluf’s image, a tide of change is slowing sweeping across the resort. In recent years Magaluf has enjoyed considerable investment. 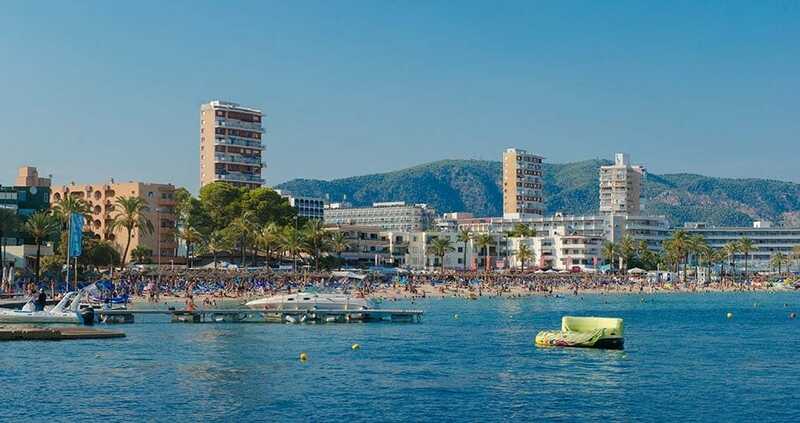 The Mallorcan hotel group Melia Hotels International, together with the local community and other private companies, established a five-year plan to 2020 to upgrade Magaluf step by step and turn it into a top holiday destination once more. The CEO of the group, Gabriel Escarrer, commented in an interview with abcMallorca on the ‘Calvià Beach’ project: “Our plan is to support Mallorca, to contribute to the reconversion of a destination that used to be a top resort […] we wanted to halt a decline that was accelerating with every passing year”. Despite its reputation, Magaluf is well-policed and offers a number of attractions for families and enjoys a large sandy beach, overlooking the small island called Illa de Sa Porrassa. Most of the action happens close to the beach with many waterfront bars and restaurants and a further strip of mainly British venues, takeaway spots and shopping. There is a good range of amenities that cater well for the largely English-speaking residents and visitors. The nightlife of Magaluf can best be described with the words ‘colourful’, ‘wild’ and ‘boisterous’. If you are young (or feel like you are) head for BCM, one of the most famous clubs in Europe. For a more upscale experience, let the staff of Nikki Beach pick you up from your yacht and have a bottle of champagne at the ready to spray on your friends. 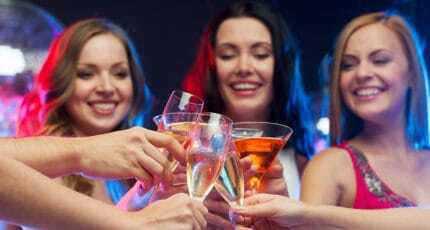 You can celebrate the whole night in one of more than a hundred bars, clubs and discos. 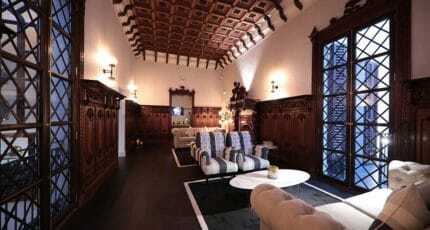 But don’t forget to visit the new, modern hotels, where you can often find the best parties. The BH Mallorca invites famous DJs and music stars – such as David Guetta or the rapper Tinie Tempah – and has a beach club and waterpark for adults only. The Sol Wave House is a unique pleasure temple, where DJs provide the right music and if you’re looking for kicks, you can have fun in the artificial wave generator. For a more relaxed vibe, the Nine Bar on the roof terrace is great for sunsets. Magaluf is home to some popular and well-established tourist attractions, including Pirates (housed in a purpose-built theatre), House of Katmandu, Karting Magaluf, Aqualand and The Western Water Park. It’s also the location of the new BH Mallorca, which offers live music from well-known DJs and chart-topping performers. Besides Nikki Beach, Magaluf offers numerous other beach clubs. Some are well suited for partying, others are better for dining or relaxing with a cocktail. In the stylish Zhero Boathouse Beach Club you can enjoy a Mediterranean dinner or just some drinks in a relaxed atmosphere, just beside the pool. The new, more exclusive Folies Beach Club Calvià offers modern Asian cuisine and has a VIP area and Balinese beds for extra pampering. Magaluf caters very well for British tourists looking for typical sea, sand and sangria type holidays and there are endless fun things to do. As well as clubbing you can enjoy a wide range of water sports, live entertainment and theme parks. Families will enjoy the ever popular Pirates show and water parks. Sportier types can enjoy go-karting or book a training session at The Wave House for instruction on surfing. There is also the golf club Golf Poniente at nearby Cala Vinyes. 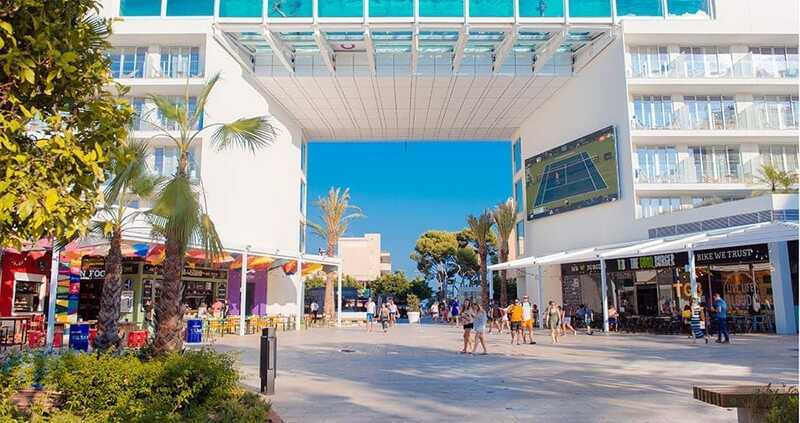 Opened in June 2018, the shopping mall Momentum Plaza can be found right in the centre of Magaluf. It was one of the last building blocks of the ‘Calvià Beach’ project, contributing to the further improvement of tourism in Magaluf and ensuring the season is extended. The Momentum Plaza features clothes stores, restaurants and entertainment, as well as the Calvià Beach The Plaza Hotel, which is open year round. In addition, other leisure activities are planned. Mango, Springfield and Woman’s Secret, as well as Mallorcan brands such as Heymo and Mian Joyerías, are among the fashion retailers. With over 200 parking spaces visitors can also look forward to a relaxed shopping experience. 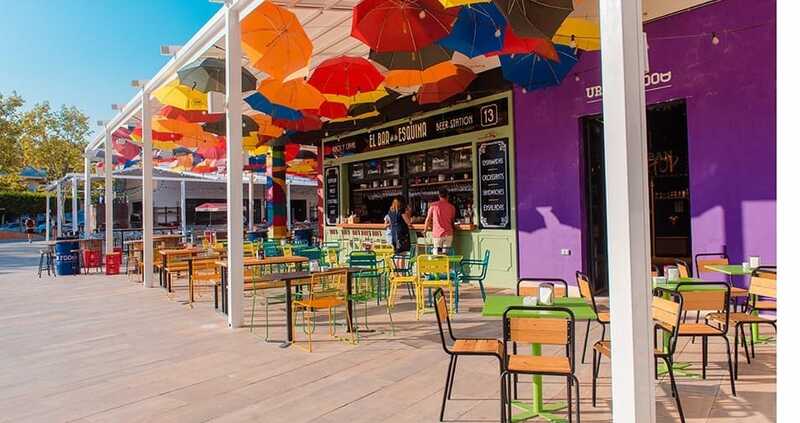 Many of the restaurants in Magaluf serve fast-food and British staples including ‘chips with everything’, however there are a number of more gastronomic options for the discerning diner. 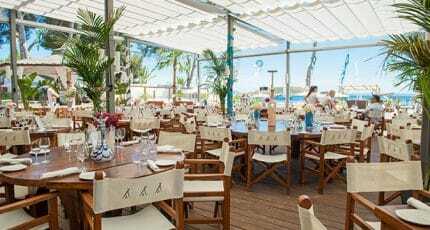 Nikki Beach serves a sophisticated menu including sushi, seafood and chateaubriand. At Tan a Gustito Tapas you will find a variety of healthy and homemade tapas, as well as cocktails and detox juices. There are also more authentic Spanish restaurants tucked away and a short taxi ride will open up a whole range of options. Magaluf has a wide range of hotels to choose from including themed hotels for music lovers and clubbers, beach hotels, complexes with pools and cheap and cheerful apartment hotels. The most luxurious hotel near to Magaluf is the five-star St Regis Mardavall. Magaluf is home to many British residents but is not as popular as the nearby resorts of Palma Nova and Santa Ponsa. The town is very quiet in winter with many of the shops, bars and restaurants closing from October to Easter. However Magaluf is a good location, having easy access to the motorway and only 15 minutes drive to the city of Palma. There is also much to explore in surrounding areas. Property prices are relatively low for the south west, but there is also limited availability. Most properties cost less than 500,000 euros starting at as little as 60,000 euros for a studio. Small villas and a range of apartments are mostly on offer. Magaluf enjoys an excellent location with much to see and do. The adjacent town of Palma Nova is walking distance and offers a quieter more family-orientated experience. Also close by are the coastal resorts of Cala Vinyes and Sol de Mallorca which are mainly up-market residential areas. For a more authentic beach day head for the pretty little bay of Puerto Vells which caters to an international set and is popular with boat owners. 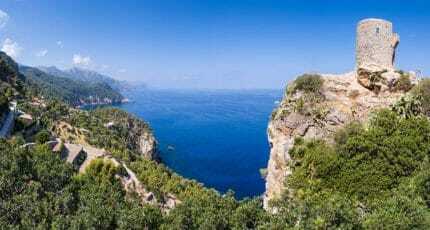 Cap Falco is also worth a visit for beach lovers looking for a more natural, unspoilt setting. The next stop on the motorway is the resort of Santa Ponsa, although more mixed this resort also has many British residents and visitors and is more family-friendly. We hope you find our guide useful – why not find out what else Mallorca has to offer with our detailed guides? 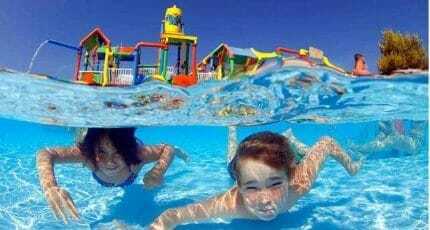 We hope you have found this article about the Magaluf useful and that you have many memorable stays in Mallorca as a result of our recommendations.